Cole Clark Basses - any experience? Re: Cole Clark Basses - any experience? An update on my CC bass. 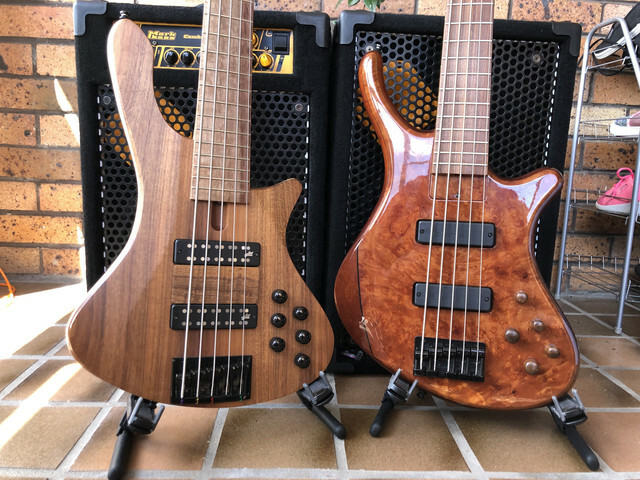 I really don’t want to write this as I so wanted to support this Aust made bass but I want to relay my experience for others. So treble and bass pot were replaced as mentioned in post above. Upon getting home new replaced bass pot was faulty - when cutting from mid position it started cutting out and buzzing like a bad connection. So back to dealer again and another new pot was installed. Something I noticed from day 1 is bass had a lot of static noise when playing it. Not 50hz hum or touching pickup poles but buzz crackles. I ran my meter over the painted shielding and can barely get readings and only in some spots. 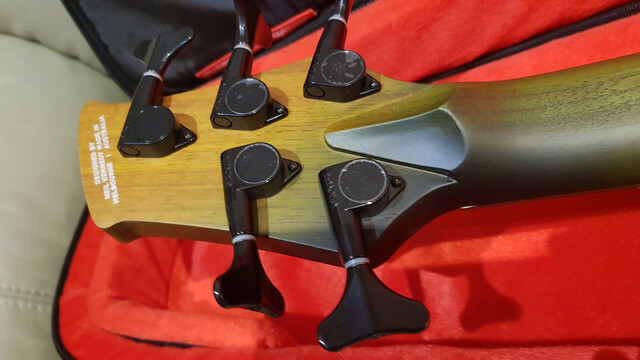 So I could gut it and shield the bass but why do I need to on somethjng rrp $3k? As it is is unplayable for me. I have Music Man, Sadowsky, Sandberg, Dender Deluxe active basses all ok so it’s not my rig or home. So this and a few other quality issues such as the rear control cover, titebond squeeze out my around neck “join” and lack of care to stick “K” on straight make me think these are just not ready yet. Dealbreaker is the OBP3 pre needs good shielding and doesn’t. So it’s been returned to dealer. I was willing to work it through to a fix but I’m a few hundred dollars out of pocket getting to and from dealer. Plus dealers look each time I went back as if it was somehow my fault was enough for me. So that’s my story. I really wish this bass well and may try again down the track. Last edited by Fenolabass on 02 Nov 2018, 14:59, edited 6 times in total. Thats a pity to hear mate. Apart from the ergonomic issues I'm having personally with the bass mine is perfect sound wise! I like how the bass is made with Aussie tonewoods. 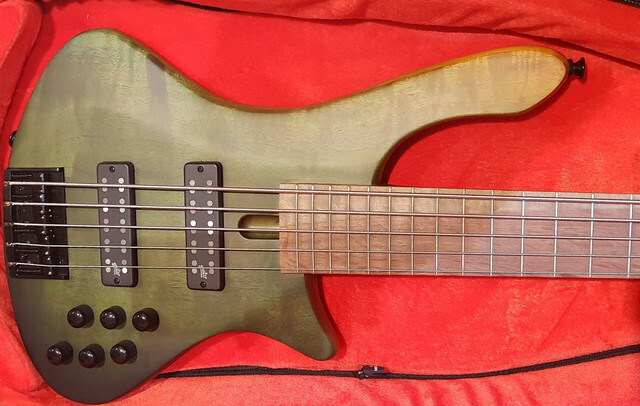 3) the Aguilar pickups and preamp sound great - did not hear the noise mentioned above ? Need a fluorescent light fixture nearby to test.... Only suggestion is aesthetically the number of knobs should be an odd number like 5 or 3 to fit in better with the roundy whaley shape of the bottom half of the body. Back story - I first picked up the Long Lady when grabbing the Mesa Subway DI a couple of months ago. That neck, the weight, and the tone kinda stuck with me. 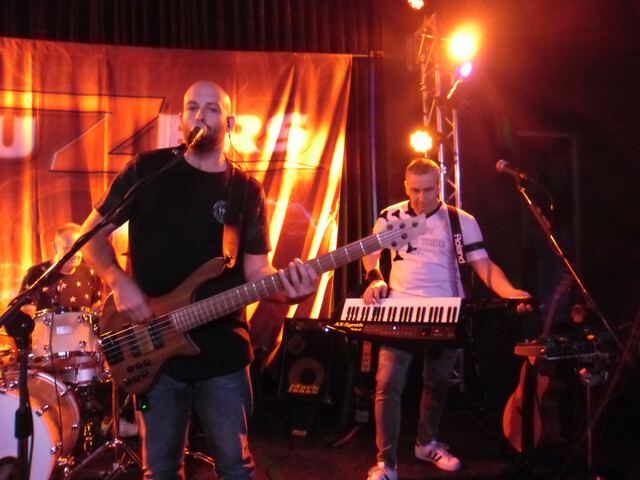 The fretless sounded good, but as I am mainly a guitarist, it was just not quite my cup of tea. The LL5 captured my attention largely because it not only played great, it was also light! Fast forward to last week, I ended up joining the Cole Clark Club! The team from GH Music, especially Rob Little, looked after me really well! She's #112, green burst, and maple silkwood cap. Very addictive to play! 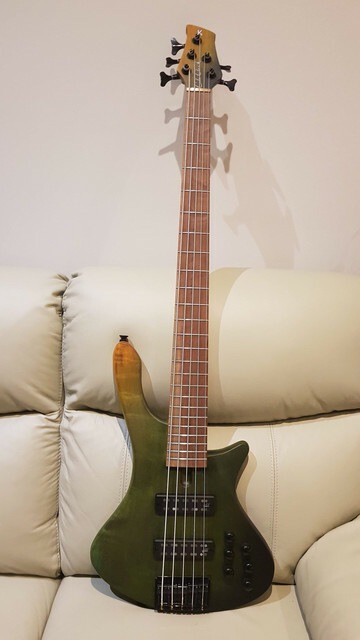 Also my very first brand new bass guitar, ever (everything I've owned bass-gear wise, have either come from this forum, Melband, or Gumtree! The knobs seem a bit close together , is this an issue? The controls are fine, If they were any closer I think it could be an issue but personally I don’t fiddle with it, it’s all flat all the time anyway, it’s very responsive to technique so just changing your attack is very effective. I played one today at Bowral Music, south of Sydney. Clear oiled finish, very similar to above left. Very nice instruments, versatile tones available. Neck wasn’t too muddy, bridge wasn’t too thin.... excellent PU combination & positioning. A little reminiscent of the Warwick growl, but mellowed out very easily with the always-on passive tone knob (I REALLY miss that option on my Tobias). The low B wasn’t as nice as my Tobias (neck thru, purpleheart stringers), but I hate Elixirs normally. G string was well balanced with the other 4 strings. Had a bit of weight to it but still lighter than my Tobias 5. The preamp sounded very Aguilar.... preferred the passive tone TBH. Prob cut really nicely in a live mix though. (I use my Tobias in passive mode 95% of the time now anyways). The CC had a 12” radius FB and a flat section in the centre of the back of the neck, which I liked at times but not at other times. (The asymmetric neck on my Tobias has forever spoilt me for 5 sting basses). Otherwise the CC was incredibly easy to play any bass line, 3&4 note chords, double stops, etc. Very even up & down the neck, no dead spots. Overall - I really like certain features, and could overlook the minor things (personal preference). ^ Didn’t notice that bit sorry Heath.